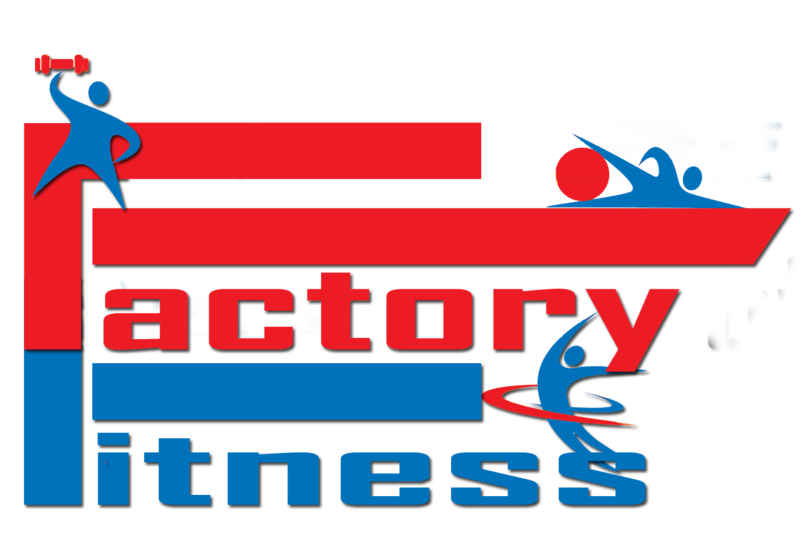 BREAKING NEWS (Part I): The Sports Factory to Break Ground on its’ First Outdoor Ball Field in 2019! 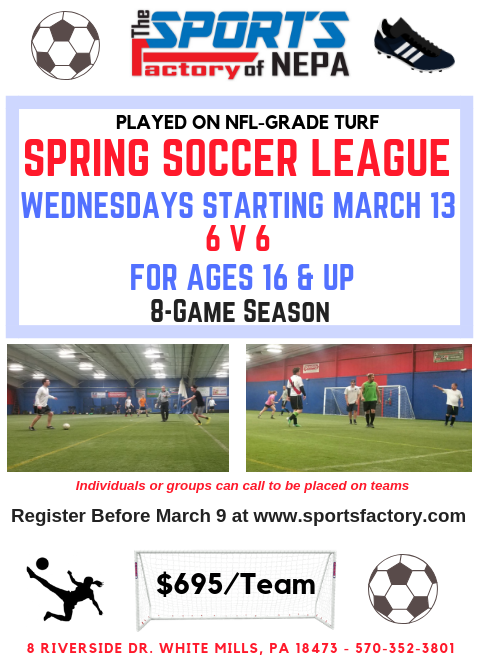 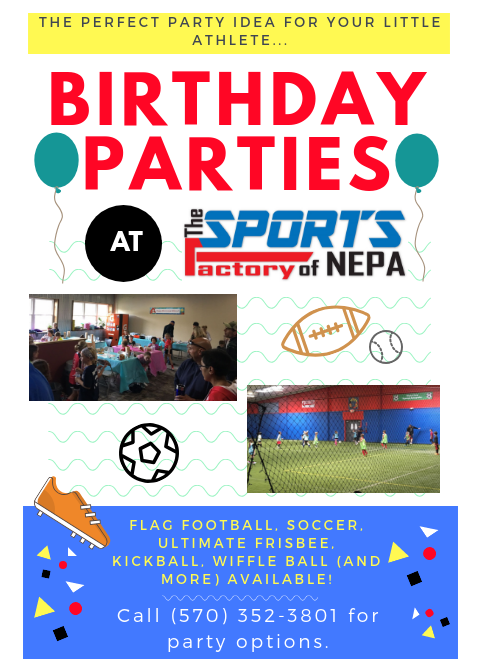 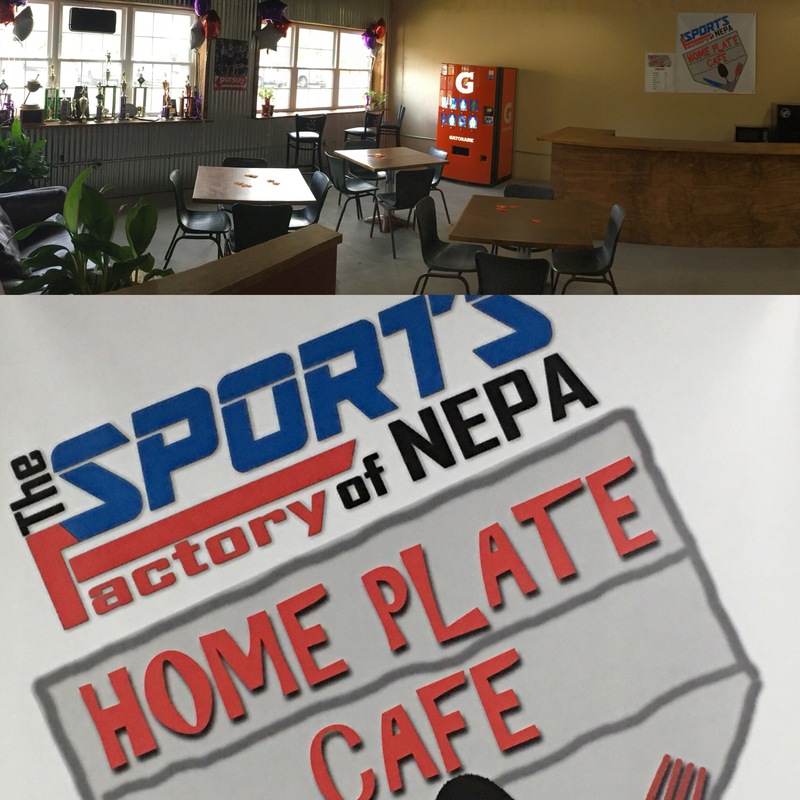 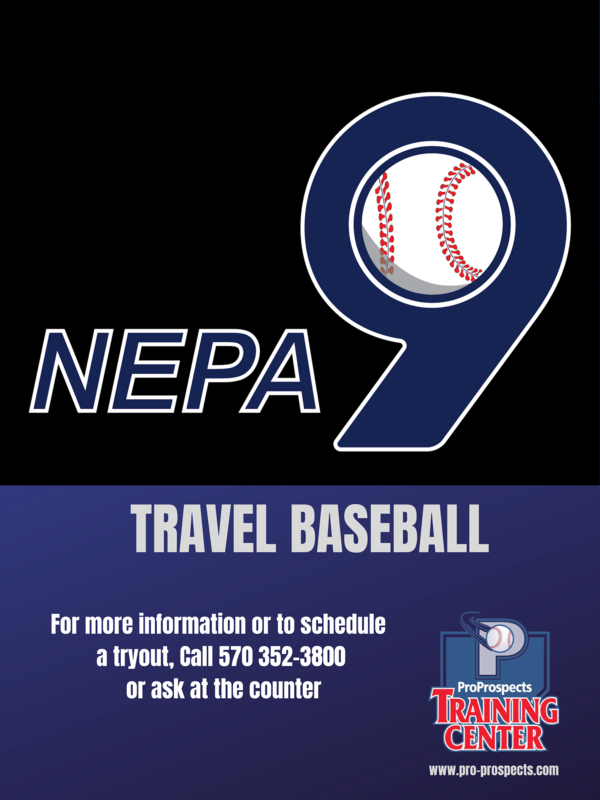 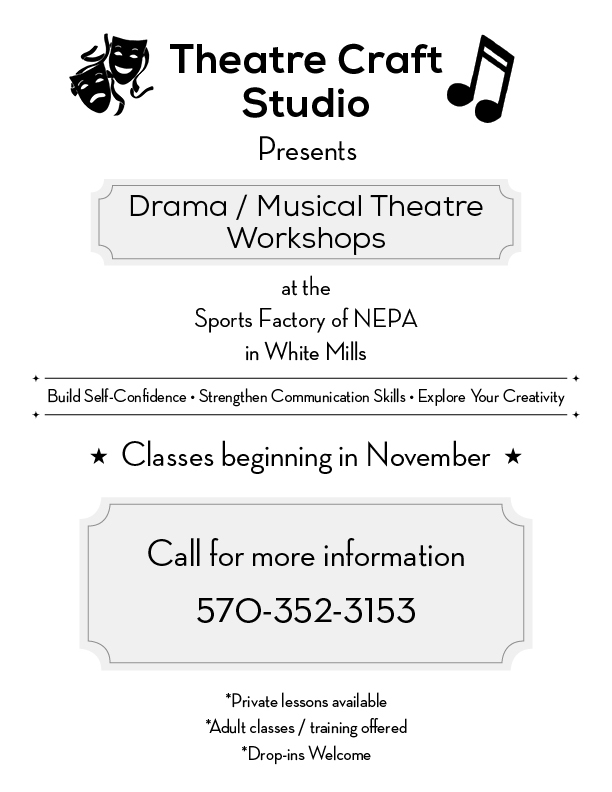 Plans are in place for the addition of a new ball field at The Sports Factory of NEPA this spring. 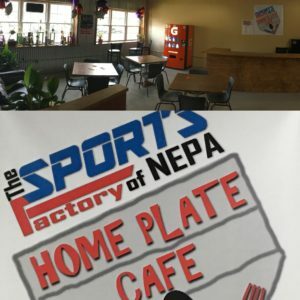 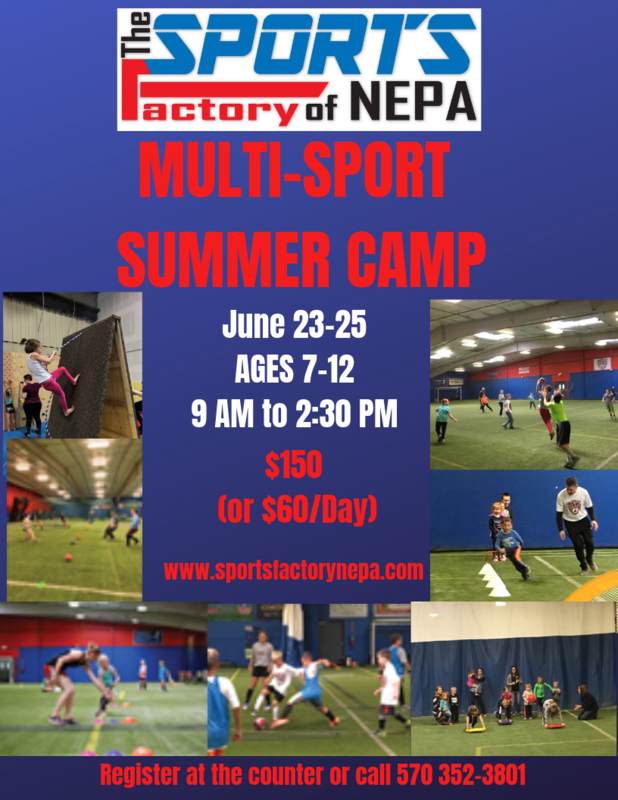 Factory Field, part of a 16-acre parcel adjacent to The Sports Factory of NEPA’s indoor multi-sport complex, will be designed to host youth baseball and softball and will be home to Pro Prospects’ Summer and Fall Baseball Leagues, Summer Camps and Tournaments and Phantoms Travel Softball. 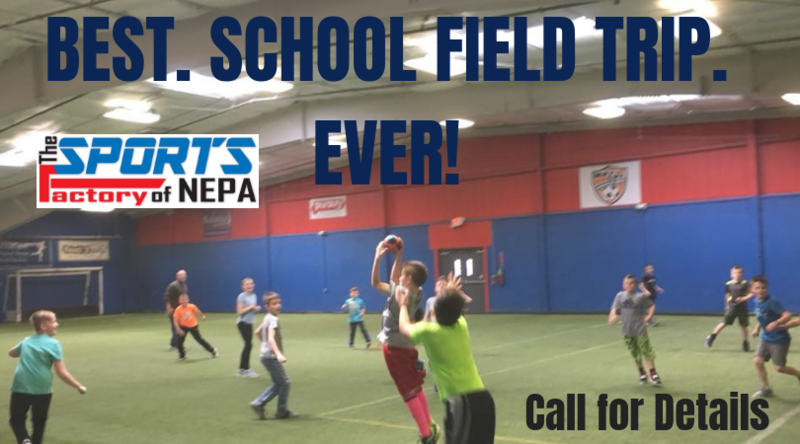 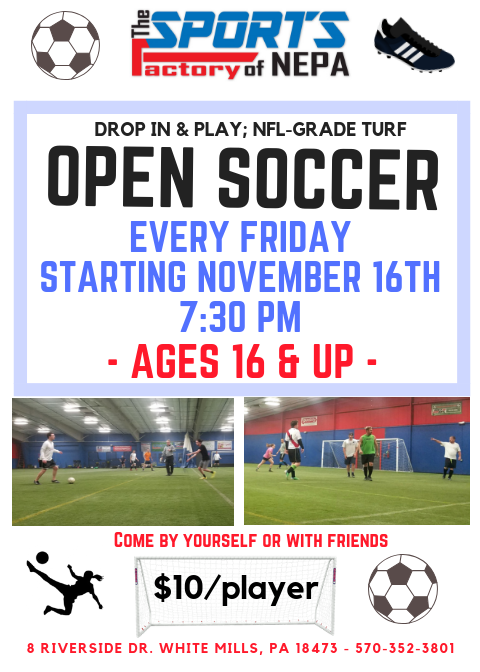 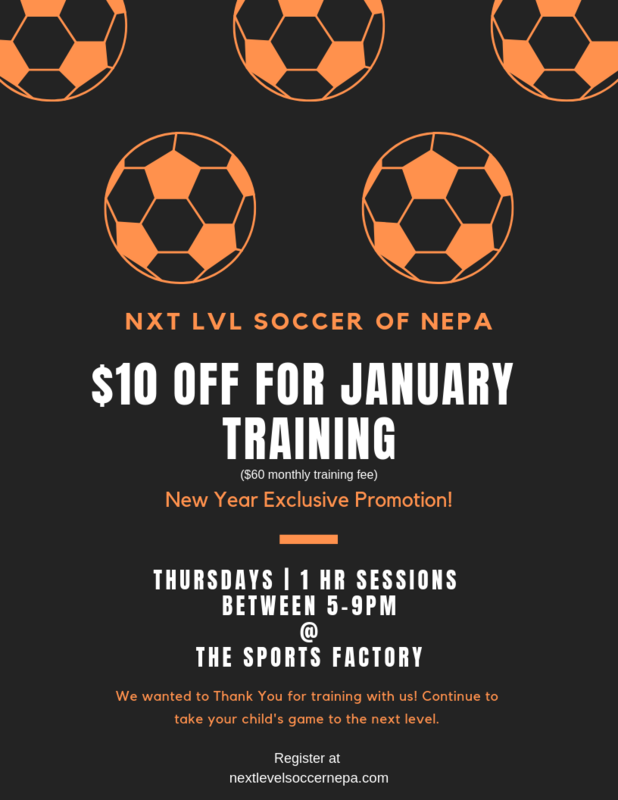 The outdoor soccer field, currently home to Next Level Soccer of NEPA Travel Club, will also undergo improvements that include the expansion of their current outdoor training space to a regulation-sized field and/or two U12 fields. 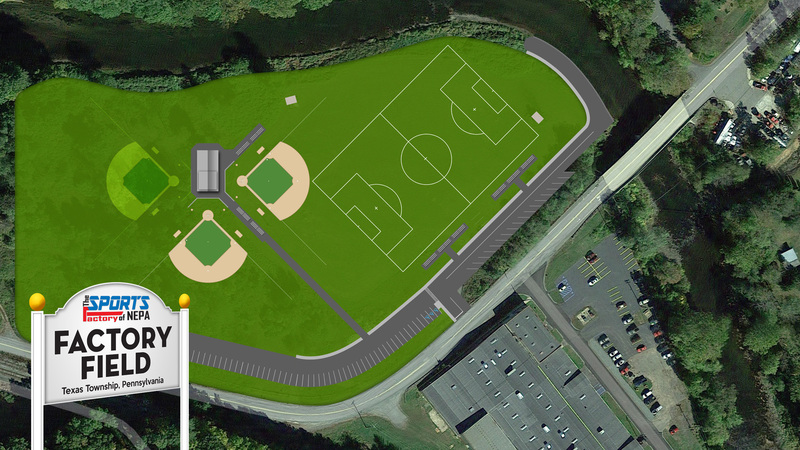 Future plans include the addition of a second youth baseball/softball field, a regulation-sized baseball field, concessions and bathrooms, river access for kayaking and fishing, a walking/hiking trail and a parking lot.The soon-to-be renovated ball field in White Mills, which has a long, storied baseball and softball history in our community, will also be available for use to all Pro Prospects & Sports Factory of NEPA baseball and softball recreation league & soccer club partners. 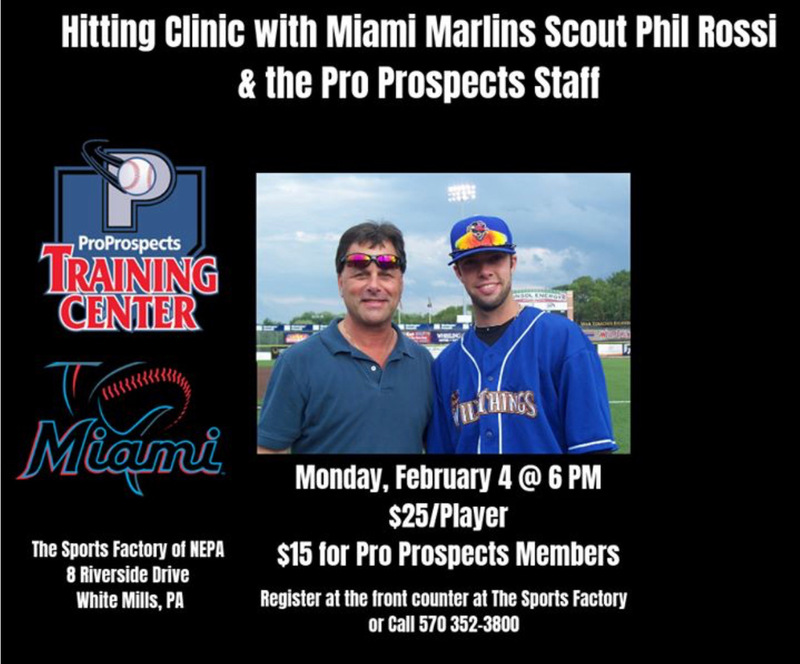 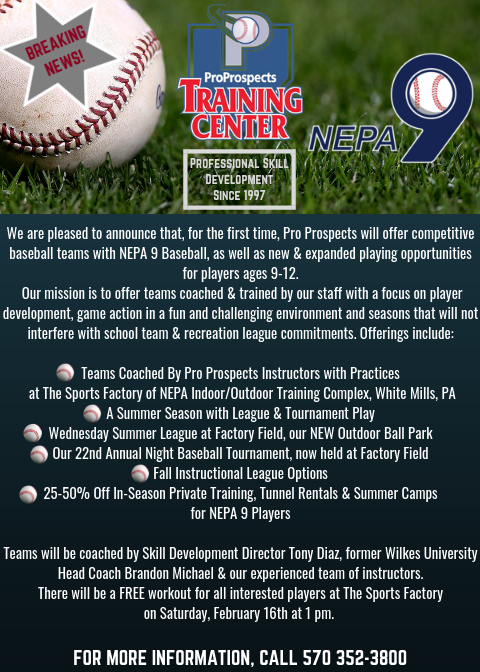 For more information on our 2019 field development orPro Prospects Baseball/Softball Training Center and Next Level Soccer’s training and team offerings, call 570 352-3801. 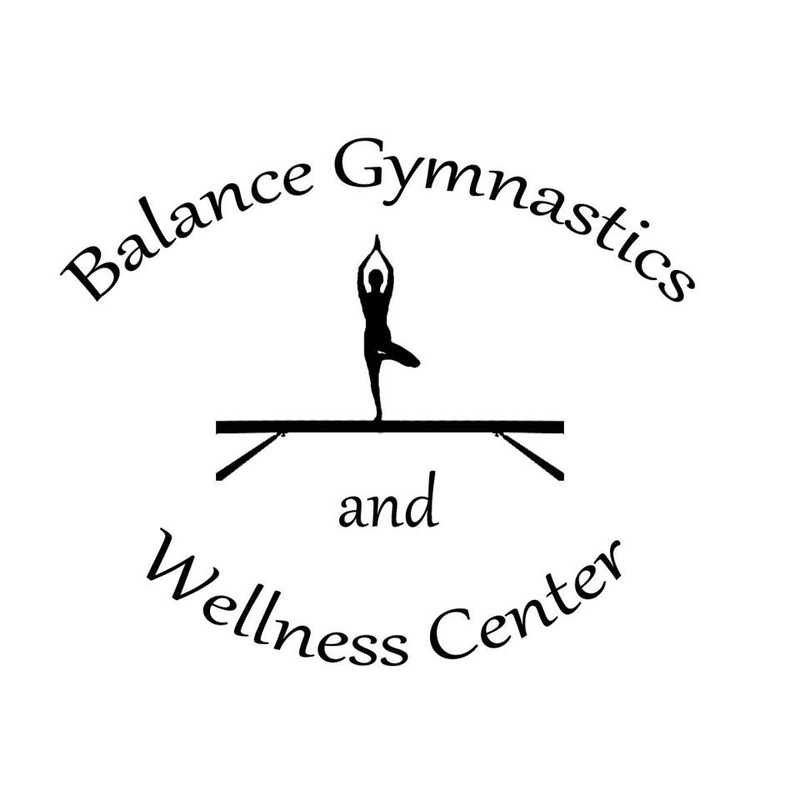 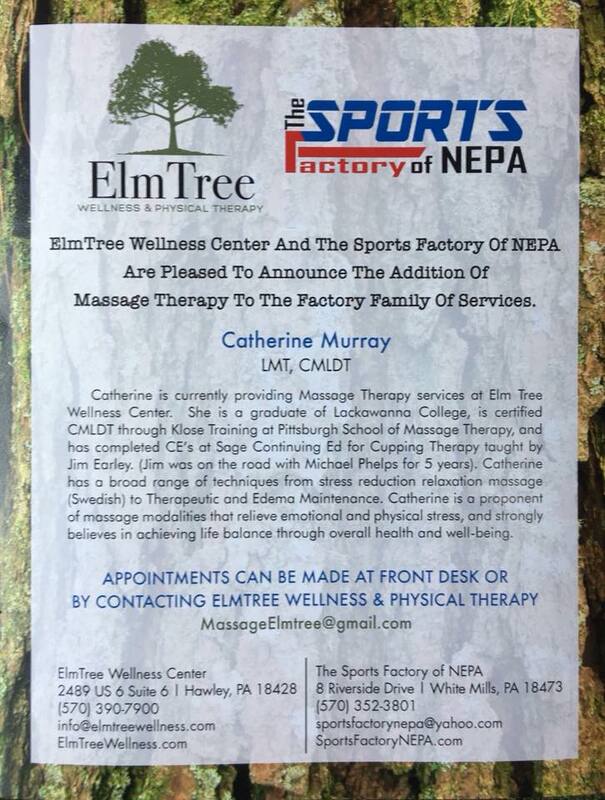 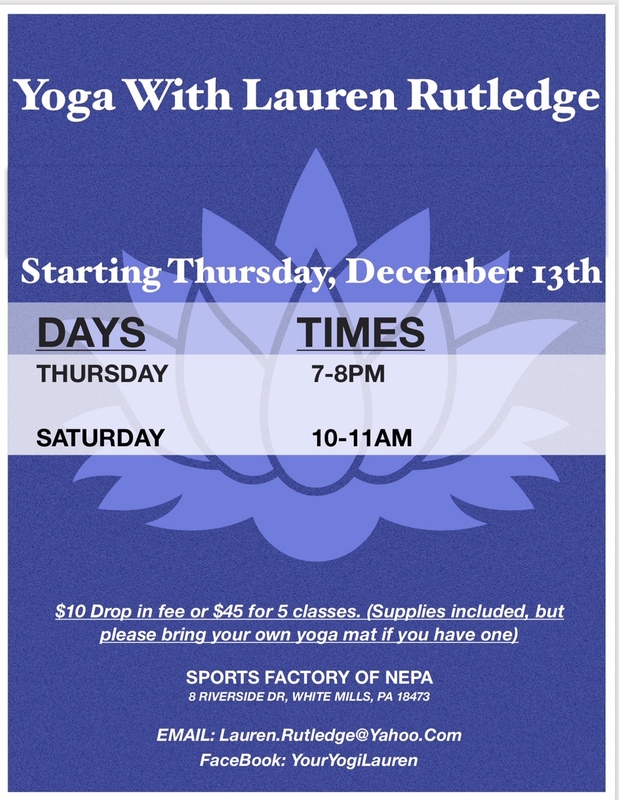 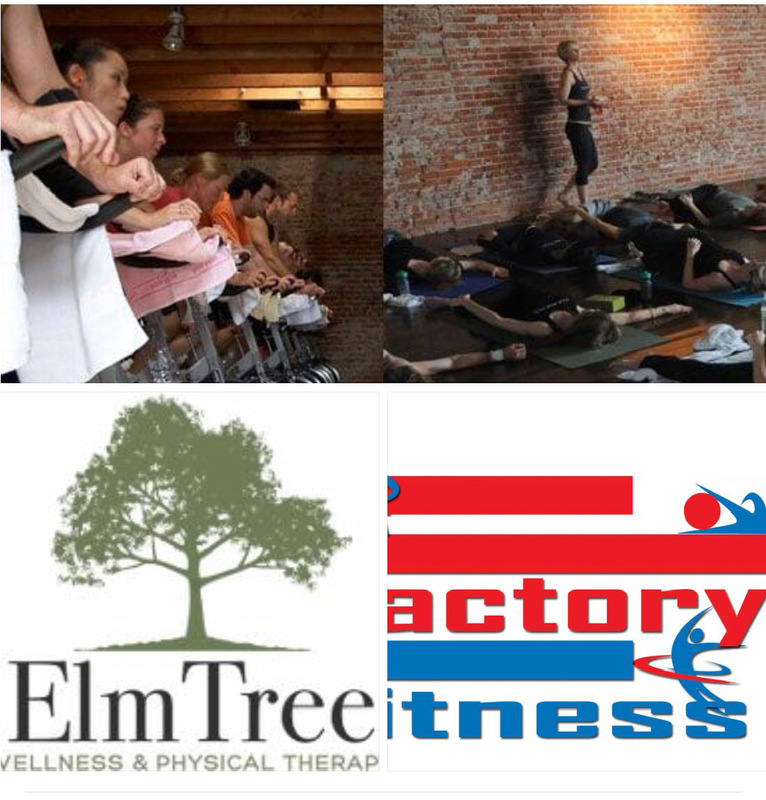 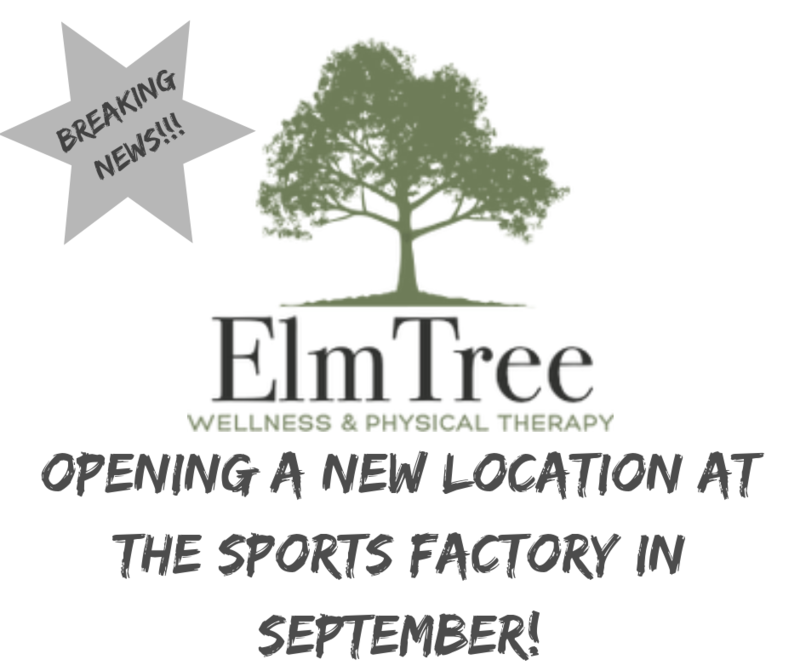 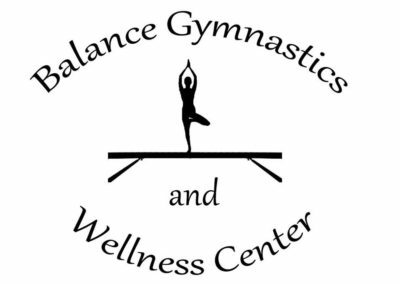 BREAKING NEWS (Part IV): Work is underway to add a dedicated fitness studio at the complex later this year which will feature expanded health, fitness and wellness options through Factory Fitness, ElmTree Wellness & Physical Therapy Center and Yoga With Lauren. 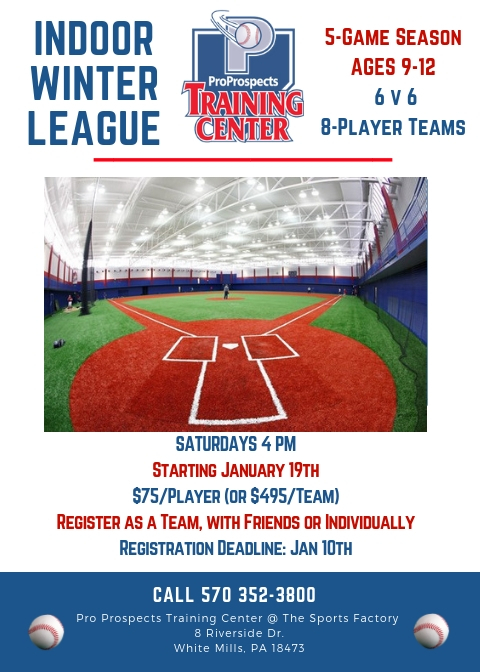 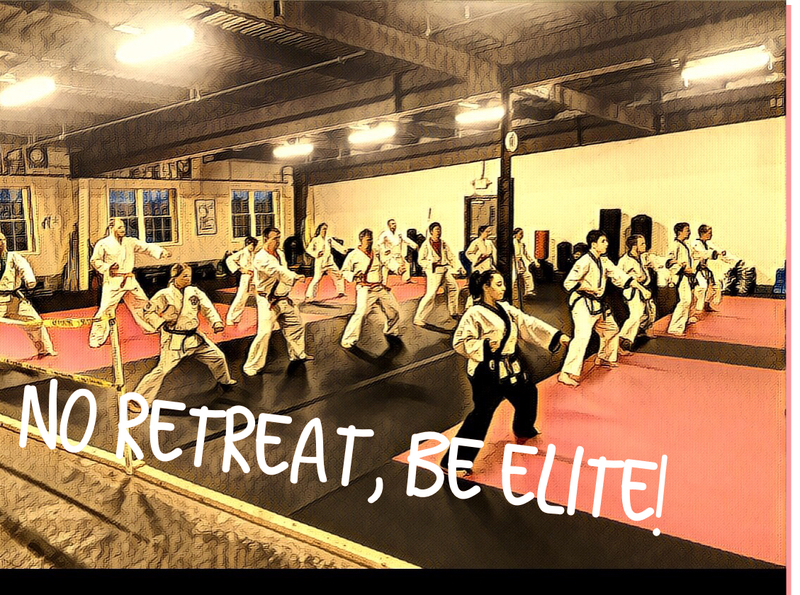 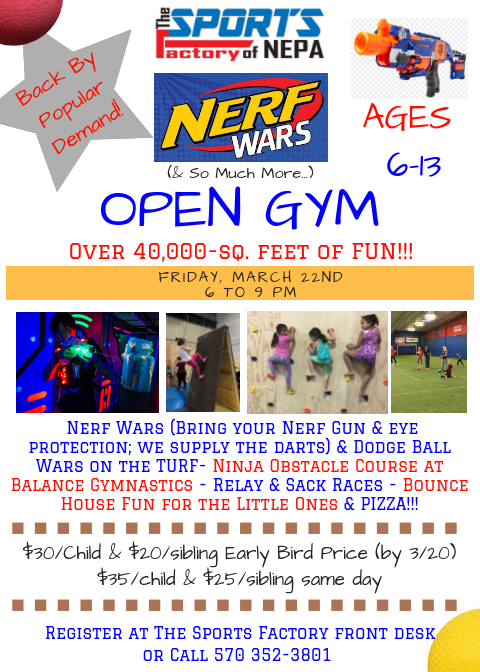 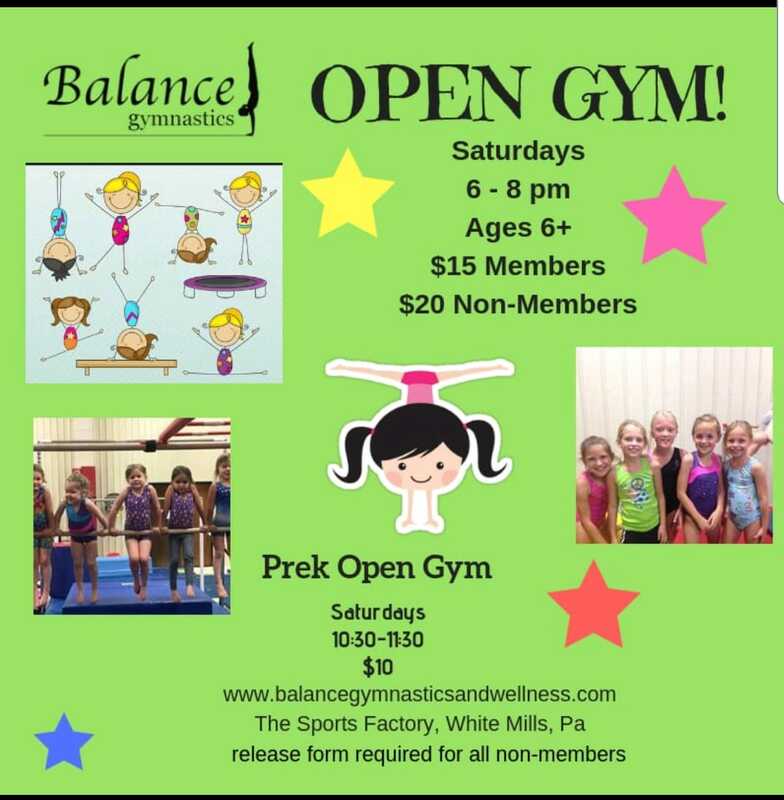 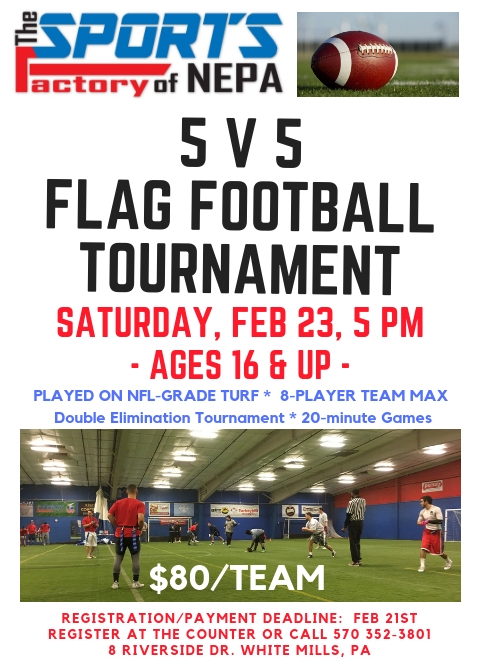 All services will be available to the general public and conveniently offered on evenings, weekends and high traffic times at the complex so parents, siblings and spouses of athletes who train with our Family of Services or who play in our indoor leagues can also attend. 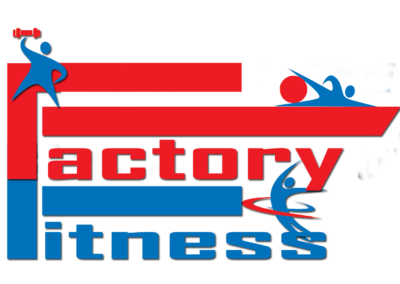 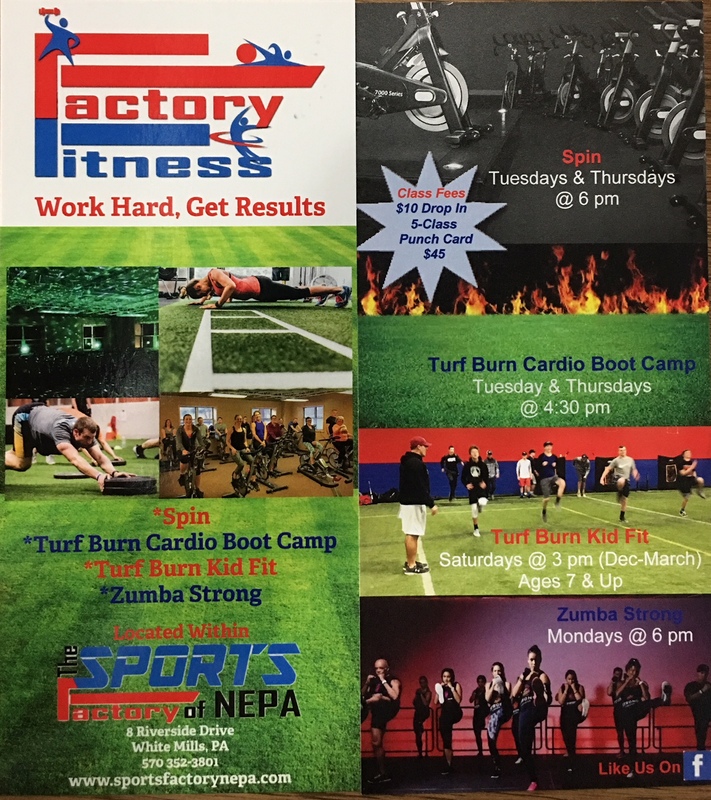 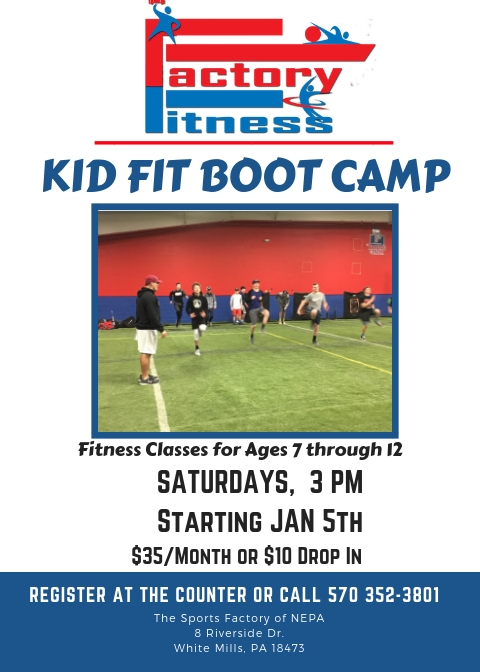 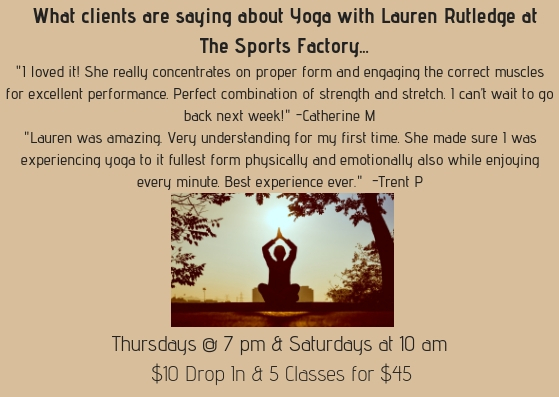 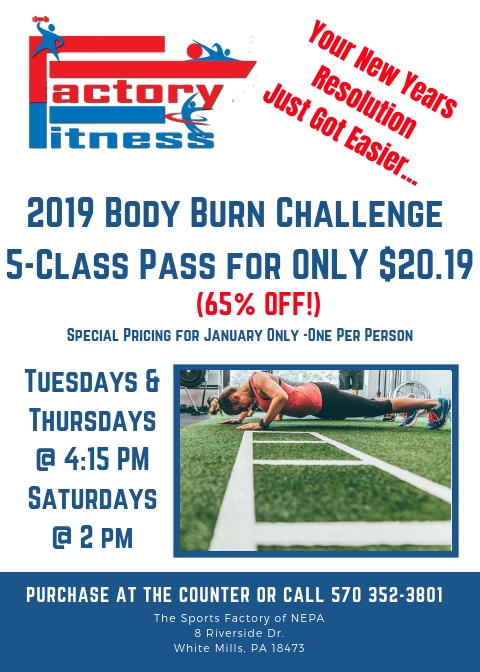 The Sports Factory’s current fitness/wellness offerings include Spin, Boot Camp, Zumba Strong, Yoga, Therapeutic Massage, Sport-Specific Performance Training and Kid Fit, a general fitness program for children. 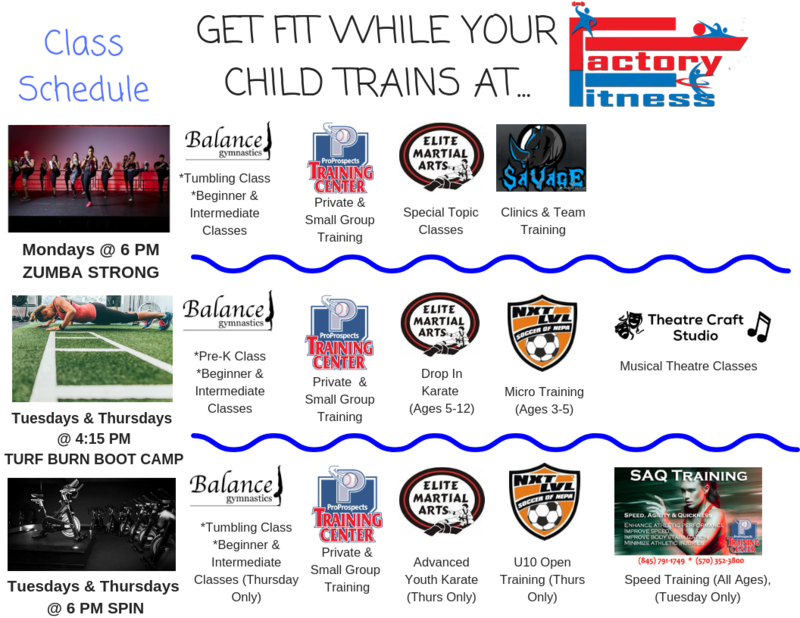 A complete list of services and schedule will be provided in the coming weeks. 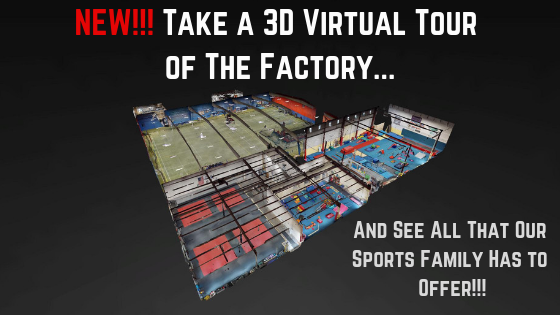 Continue to keep an eye on your news feed for two more exciting announcements regarding our expansion plans.